1. Turn the knob counterclockwise. Keep the auxiliary boxes closed and locked. Injuries may result in the event of an accident or sudden braking. Deck hooks are provided for securing loose items. 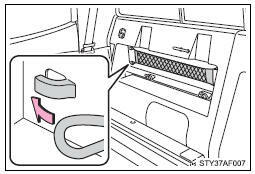 Keep the deck hooks folded. 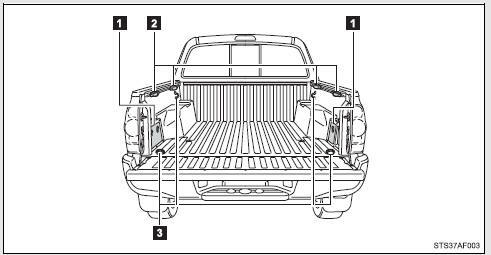 The deck rail system enables you to insert and move tie-down cleats to their best location along deck rails to secure a load. 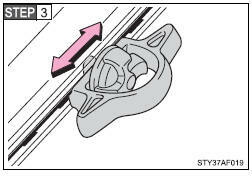 Loosen the thumb wheel in a counterclockwise motion, and depress the wheel so that the locking plate maintains 0.5 in. 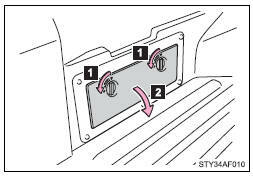 Insert the locking plate into the deck rail, rotate the tie-down cleat 90°, and release the thumb wheel. 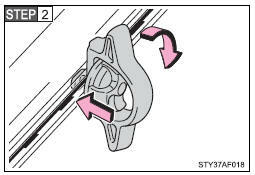 Slide the cleat to the closest detent in the rail system. 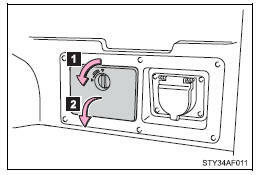 You will feel that the locking plate snaps into a detent. 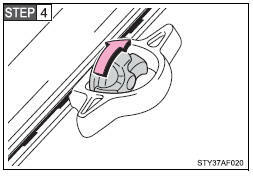 Tighten the thumb wheel in a clockwise motion until the clutch mechanism ratchets. 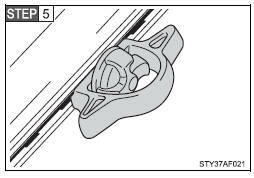 Check the tie-down cleat to confirm that it is locked into a detent and securely mounted to the deck rail system. 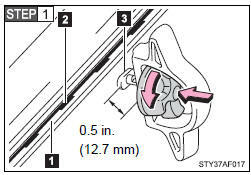 ●Properly install and tighten the tie-down cleats into the deck rail system. 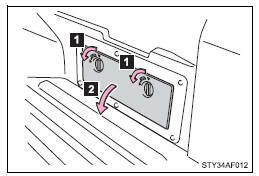 Failure to properly install and tighten the tie-down cleats can cause cargo to become unsecured. Unsecured cargo can cause injury when the vehicle is in motion. 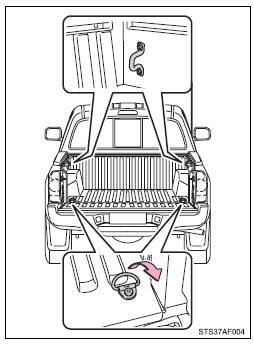 ●Properly secure all cargo to prevent shifting or sliding during driving. 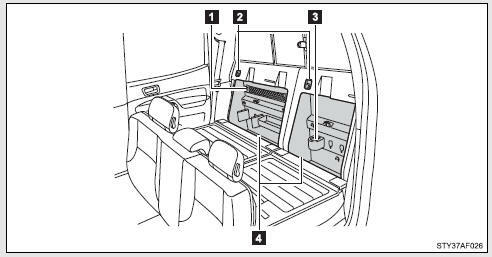 Failure to properly secure cargo can cause injury when the vehicle is in motion. ●Applying loads at an angle to the tie-down cleat greater than 45° or loads greater than 220 lb. (100 kg) may cause damage to the deck, deck rail system, tie-down cleat and/or the cargo. Storage box is designed to place things like bottles. It can be installed in various positions as required. 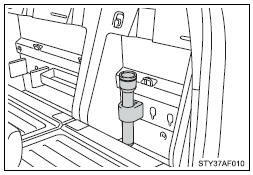 Flashlight holder is designed to hold the flashlight securely. Grocery bag hook is designed to hang things like grocery bag. Do not hang any object heavier than 7 lb. (3 kg) on the grocery bag hooks. 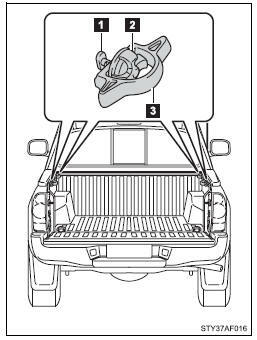 Cargo net hooks are designed to hang the factory-supplied cargo net. 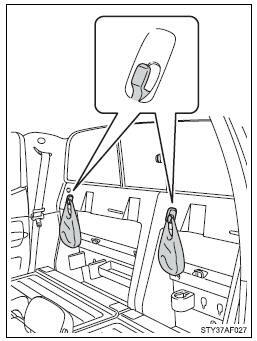 Do not hang items other than the cargo net.